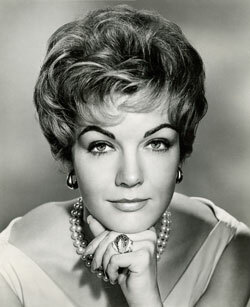 Exotic looking Suzan Ball, a second cousin to comedienne Lucille Ball, was born March 3, 1934 in Jamestown, NY. 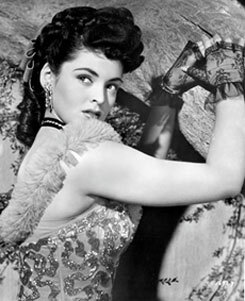 Her family moved to Miami, FL and Buffalo, NY before settling in N. Hollywood around 1947. While singing with the Mel Baker Orchestra from ‘48-‘53 she secured a bit role as a dancing girl in Monogram’s “Aladdin and His Lamp” (‘52). Living at the famed House of Seven Garbos boarding house on LaBrea Ave., Mary Castle (“Stories of the Century”) arranged an interview for Suzan at Universal which led to a role in “Untamed Frontier” (‘52)—which also led to a romantic fling with co-star Scott Brady. Although gossip columnist Hedda Hopper proclaimed Suzan one of the “New Stars of ‘53”, having been seen in three Universal hits including “War Arrow” w/Jeff Chandler, the year turned darkly tragic for Suzan when she first injured her right leg during a dance number while filming “East of Sumatra”. She then injured her knee in a car accident while promoting the film. During this period she became inseparable from Richard Long (“Big Valley”) whom she met at the Universal commissary. ‘53, her leg was amputated on January 12, 1954. 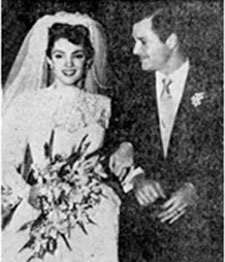 On April 4, ‘54 she and Long were married in Santa Barbara with Suzan wearing an artificial limb. 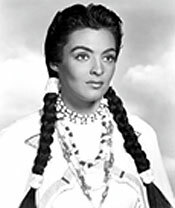 In 1955 noted Western director George Sherman refused to replace her with Susan Cabot as Black Shawl, wife of the famed Indian Chief, in “Chief Crazy Horse”. A double was used for her scenes that required walking. In close-ups Suzan moved her shoulders so it would appear she was walking. She lost 15 lbs. during the production. In May ‘55 she embarked with Long on a nightclub tour, playing Phoenix and Palm Springs, but in July, while rehearsing a “Climax” TV episode, Suzan collapsed and was rushed to a hospital where doctors discovered the cancer had spread to her lungs. She died August 5, 1955, only six months after her 21st birthday. Long was praised for his love and devotion to Suzan during her tragic illness. He married actress Mara Corday January 26, 1957. Long died of a heart attack at 47 in 1974. 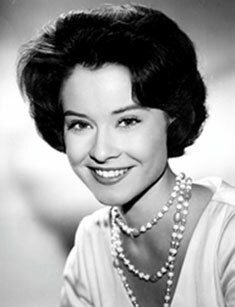 Born February 25, 1938 in Hollywood Diane Baker moved to New York at 18 to study acting and ballet, later continuing her training in L.A. She secured a contract with 20th Century Fox and for her first film was cast in the prestigious “Diary of Anne Frank” in ‘59. Also at Fox she was in “The Best of Everything” (‘59), “Journey to the Center of the Earth” (‘59) and several Fox TV series where she always produced sensitive, affecting roles. 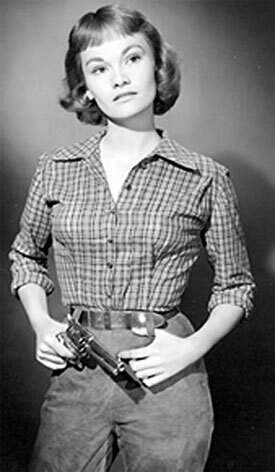 Her first Western was “The Alice Whitetree” episode of “Wagon Train” followed by “The Big Valley”, “The Dangerous Days of Kiowa Jones”, “Baker’s Hawk” and three episodes of “The Virginian”, especially excelling as “Linda” (‘66) in a charismatic, romantic turn with James Drury who told us he thought “Diane was a terrific actress who never quite got the breakthrough role she deserved.” Diane later moved into producing small independent films and has taught acting courses and was the Executive Director at the School of Motion Pictures, Television, and Acting at the Academy of Art University in San Francisco. Pretty Penny Edwards was born Millicent Maxine Edwards in Jackson Heights, Queens, NYC on August 24, 1928. Nicknamed Penny as a child because the last syl-lable of her first name ended in “cent”, she displayed musical talent as a youth and began studying dance by age six. As a teenager she appeared on Broadway in “The Ziegfeld Follies of 1943.” After a couple of other musi-cals and a stint with the St. Louis Musical Opera, she was signed by Warner Bros. in 1947. After several sec-ond-leads and a successful vaudeville tour she signed a term player contract with Republic from May 1950 through October 1951. Replacing a pregnant Dale Evans, Penny co-starred with Roy Rogers in six Westerns, one with Rex Allen and one with Allan “Rocky” Lane. In 1951 she wed studio casting agent Ralph Winters. They had two daughters, Deborah (born in 1954) and Rebecca (born in 1956). She and Winters divorced in February 1958 and Penny married a Jerry Friedman in ‘64 and they had a son, David. That marriage also ended in di-vorce. 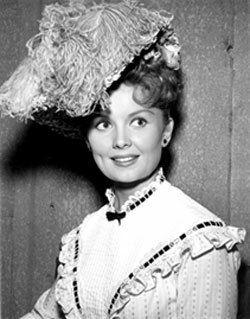 Meantime, Penny went on from Republic to co-star with Tyrone Power in “Pony Soldier” (‘52), Rory Calhoun in “Powder River” (‘53) and then turned to TV work beginning in ‘56 with “Cheyenne”, “Restless Gun”, “26 Men”, “Californians”, “Rough Riders”, “Cimarron City”, “Wyatt Earp”, “Wagon Train”, “State Trooper”, “Tombstone Territory”, “Alaskans”, “Tales of Wells Far-go” and “Death Valley Days”. 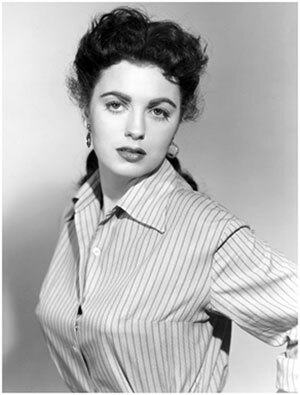 She also co-starred in two independent B+ Westerns, the seldom seen “Ride a Vio-lent Mile” with John Agar and “The Dalton Girls” w/John Russell. Penny’s lovely features were also com-mercially utilized as The Lux Girl, The Palmolive Girl and The Tiparillo Girl. 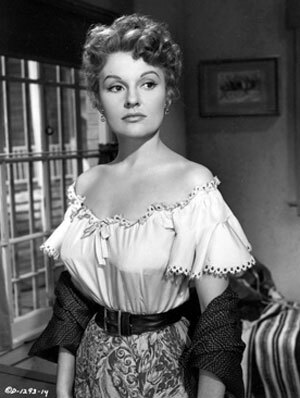 Penny retired from showbiz in ‘62 but later appeared at many Western film festivals. ? ? After living in Santa Fe, NM for a time, Penny contract-ed lung cancer and died two days after her 70th birthday near her daughter Deborah in Friendswood, Texas. Peggy Stewart was in 22 Republic B-Westerns, with Bill Elliott, Sunset Carson, Roy Rogers, Gene Autry and Allan Lane as well as some later B’s with Lash LaRue, Jim Bannon, Charles Starrett, Bill Elliott and Whip Wilson. What else need be said to qualify Peggy as the absolute “Queen of B-Westerns”. Born Margaret O’Rourke June 5, 1923 in West Palm Beach, FL, in the ‘30s her family moved to California where actor Henry O’Neill recommended her to Paramount. 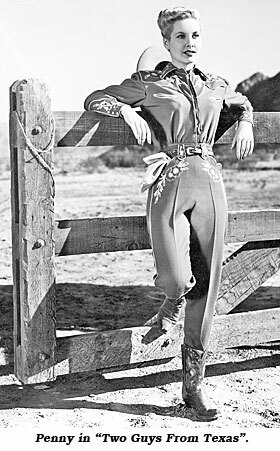 Her first film was—what else?—a Western; Joel McCrea’s teenage daughter in “Wells Fargo” (‘37).When the B-Westerns ended, Peggy moved on to TV Westerns—“Gene Autry Show”, “Wild Bill Hickok”, “Roy Rogers”, “Cisco Kid”, “Range Rider”, “Wyatt Earp”, “Yancy Derringer”, “Hotel de Paree”, “Pony Express”, “Have Gun Will Travel”, “The Rebel”, “Gunsmoke” and “Hondo”. While at Republic she met and married Don “Red” Barry in 1940. They divorced in ‘44. 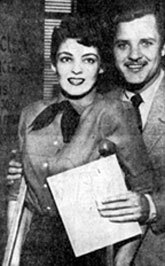 Peggy married stuntman/actor Buck Young on March 4, 1953. They had two children, a daughter Abigail and a son Greg and were married until his death in 2000. Peg’s sister, Patricia, was married to Wayne Morris. 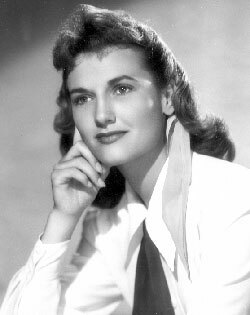 In later years Peggy performed in the L.A. theatrical Community and kept her hand in the film business on TV and other movies until 2014. Born in Boston November 15, 1934, Joanna Barnes moved to L.A. soon after graduating Phi Beta Kappa in 1956 with a major in English at Smith College and signed a deal with Columbia in ‘57. Barnes also guested on Warner Bros. Westerns “Cheyenne”, “Colt .45” and “Maverick” as well as other TV Westerns such as “Stagecoach West”, “Man From Blackhawk”, “Have Gun Will Travel”, “Laramie”, “Empire” and “Alias Smith and Jones”. In 1967 she was the female lead to John Wayne and Kirk Douglas for “War Wagon”. Besides hundreds of TV episodes and other major movies such as “Auntie Mame” (‘58), “Tarzan, the Ape Man” (‘59), “Spartacus” (‘60) and “The Parent Trap” (‘61), Barnes became a respected novelist—THE DECEIVERS (‘70), PASTORA (‘80) and SILVERWOOD (‘85). Her books have been published in several foreign countries as well as the U.S. Her column “Touching Home” was for many years carried by the CHICAGO TRIBUNE and New York News Syndicate. For years she wrote a weekly book review column for the L.A. TIMES. Joanna was married three times, including actor Larry Dobkin from 1961-1967.